President Trump approved the release of approximately 2800 long-classified JFK assassination records Thursday evening. News outlets from around the globe are furiously combing through the files in search of more pieces to the puzzling death of President John F. Kennedy. President Trump released the remaining documents this weekend. 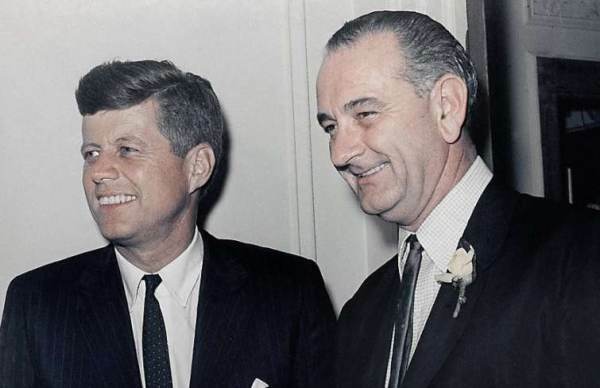 One of the recent documents shows Democrat President Lyndon Johnson was a KKK member. Finally on April 20, 1871 the Republicans passed the anti-Ku Klux Klan Act outlawing Democratic terrorist groups. So it’s not surprising that Lyndon Baines Johnson was a KKK member.